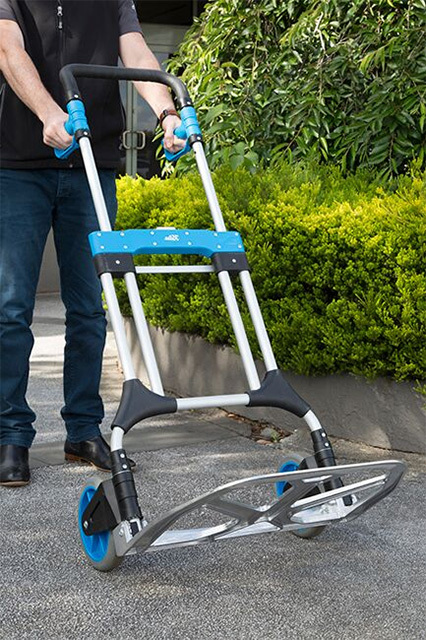 Win one of 2 x Kelso Trolleys valued at $120.00 each. Moving house often tops the list as one of life's most stressful experiences, and Aussies are on the move more than ever before. The Australian Bureau of Statistics states that 90 per cent of young households have moved at least once in the last five years, and 40 per cent having moved three or more times. Moving can also be an expensive exercise says James Lomax, Kelso Merchandise Manager. "Nationally, Aussies spend $863 million each year on moving – with the average cost around $1,600 per move, frequent relocations are likely to break the bank. Apart from a rental bond, the next biggest expenses are fitting out a new pad with furniture, followed by removal companies and utility connection fees." "However, with the right equipment you can significantly decrease the cost of moving by doing some of it yourself, and with some careful planning," he says. It's also helpful to create an action plan for moving day and share this with your family to make sure everyone knows what they are each accountable for and you can work to tighter deadlines with the removalists (to help save costs), as well as help avoid any unwanted fines from unpaid bills that didn't reach your new address in time. Depending on what you're comfortable with moving, the Kelso large folding hand truck is specifically built for moving large furniture and white goods over staircases in a safe and reliable manner to help you save even more on professionals. 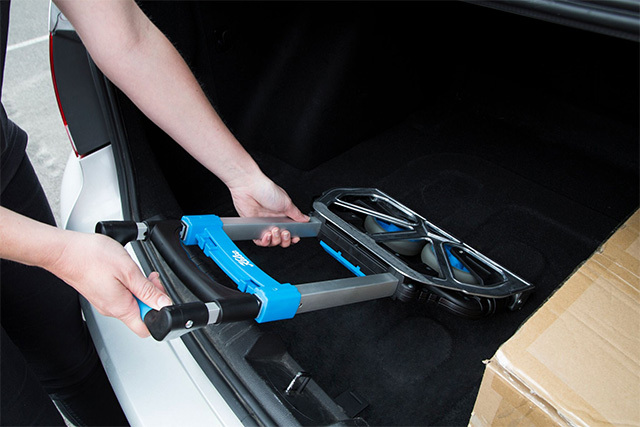 It has a 250kg load capacity, 8inch flat-free wheels, folding ergonomic handles and a lightweight aluminium frame for extra strength – and can still be folded for easy storage. Start to prepare your current home at least four weeks prior to moving day by getting rid of things you don't need, as this can also help you make money. Carry out any maintenance or required repairs at the property so that it's in good condition when you leave. This is especially important for renters who will need to cross-check with a condition report, as one in eight renters surveyed have lost their bond due to insufficient cleaning and rental arrears. Time to pack! Gather all of your packing supplies and start in a room that you use less often and keep track of things you might need to access before you move. Label every box clearly with the corresponding room and details of the items inside, as this will save you a lot of unnecessary confusion later. Moving day will creep up faster than you would have liked, but luckily you have your action plan to refer back to. It's best to start early on moving day to get the most out of the daylight hours. Load the truck with large items first, such as mattresses, washing machine, fridge-freezer, and then boxes. Load your kitchen boxes last so they are first into the new home to help prevent food spoilage in a hot vehicle. It's also a good idea to place boxes straight into the corresponding room in your new home for easy unpacking once everything has been unloaded.